Backlinking is a process that can take a long time to finish – some may say that it’s never done – while onsite optimization is something you want to do while you’re building your site. So the onsite should be completed first. That, young sir, is correct. However, when you’re building your site you want to make sure that you are putting the right content for your site up. So this isn’t something that you want to go about “all willy-nilly”. You want to make sure that you hire a professional to write the content, or if you feel like you’re able to handle it, make sure that you’re putting quality information on your site. These keywords being found in the content along with having to do with the focus keyword will help search engines find your page above other plumbers’ pages that talk about sink installation. Simple right? Well, you have to make sure that you have around 300 words per page and you cannot just put the word “sink” in the content 100 times and say you’re done. Those smart guys at Google have figured that out. So, what do you do? You have to create good content so that it makes sense to the reader and has the keyword in there once about every 15 words or so – about a 5% occurrence. Seem a little complicated? Not to worry – here at AdTrends Advertising Inc we have professional SEO Copywriters and SEO professionals to make every one of your pages be found easily and make your site start ranking! Next week’s blog is going to go a little more in depth about onsite content, and talk a little more about keywords (my favorite!). Backlinks and Your Ranking – What Does it Mean? For any of you out there that have a business and a website for that business there is always the lingering question; “How can I get my website to be shown on the first page of search engines?” The answer, is simple; SEO and Backlinking. The application, however, is a little more complex. If you don’t know what the term SEO is, it stands for (S)earch (E)ngine (O)ptimization, meaning optimizing your place (or rank) on search engines like Google, Yahoo!, Bing, Ask, Aol, Dogpile, etc. So in order for your customers to see you quickly when they search for something you do (promotional products in Kansas City, for example) your website needs to be “optimized” in order to show up above your competitors. Before getting too far ahead, let me state that this will be one part of several upcoming blogs discussing SEO. The question still remains; “How do I get my site to rank higher than my competition?” One of the major factors that help SEO rankings is something we call “backlinks”. If you have never heard of this before, don’t worry, you’re not alone. Backlinks (sometimes known as incoming links, inlinks, or inbound links) are any links that are directed to your webpage or blog. So what does that mean? Anytime another webpage or blog-page has a link on their page that is directed back to your site, you have a backlink. Why are backlinks so important? Simply put, they are a “checker” for search engines to know that your site or blog is relevant, has fresh content, and is an actual site (not a spammer site). How many backlinks is a good number to have? Great question: thousands! The more links you can get, the better. Unlike cookies or cake, the more you have the better for you they are. How long does getting thousands of backlinks take? Again simply put, a long time. Trying to obtain as many links to your website as humanly possible is a very long and arduous process and trying to get them without the proper knowledge will frustrate and confuse many people attempting it. So the number of links to your site is the only thing that matters? I wish. But along with having as many links as possible, you want to make sure that the links are QUALITY backlinks. And the trick of good SEO work is finding those quality backlinks for your industry and website. Hope that last line didn’t damper this post. But don’t fret about your site too much – if you aren’t on the first page ranking or your site is low on backlinks, we are here to help; we have SEO professionals here that can get your site ranked! Next part we’ll talk about is how important your on-page content is – what your website says and what that says about you. Twitter has announced changes that allow you to further customize and brand your business's Twitter account. New design features for profile pages allow users to upload a header image that will be visible on Twitter and, for the first time, on iPad, iPhone and Android devices. Additionally, the new design gives users more control over their background images, which can now be visible on both the left and right side. This can give marketers even more real estate for branding on Twitter. Time to log in and update your profile on Twitter! Follow us @adtrendsinc! If you need help maximizing your Twitter branding or social media reach, contact us today! Help your clients recharge easily during their busy day. Everyone has a cell phone, pda or music player that needs recharging. 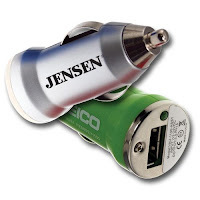 Everyone wants a car charger. Your clients and potential clients will see your logo everyday with your USB Car Charger. Perfect give away to get your brand noticed. Stay dry this spring season with this week's featured product! Personalize this 42" umbrella and have your clients and employees help increase the recall value of your business. 2011 Chiefs Schedules Are In!! Is your marketing campaign in the toilet? Mark your territory with this unique promotion! Does your product or service cater to men: movie premiere, sports radio, health campaign? Do you want to create a splash at your next trade show? Our urinal screens have a lasting impact and are guaranteed to get you noticed. Make a target, custom message, or just get creative and we’ll get it made! Price - $5.00 ea. - $4.50 ea. - $4.00 ea. - $3.75 ea. - $3.50 ea. Call Ad Trends Advertising today and ask for John, seriously it was John's idea to put advertising in the John... 816-228-1123! Why sell your products online? Web based sales have continued to spiral upward year after year. Sales are projected to hit $200 billion by the end of the year. The better news: by the year 2012 this figure will increase to $335 billion. The internet is making mega dollars for those who implement wise usage of it’s vast potential. It has continually grown in online sales, as more and more people take advantage of buying and selling online. With the spike in gas prices, it becomes reasonable to shop from home – save the commute to town, save time and effort during the Christmas rush! Not to mention the bargains that can be found through online auctions, close-outs, and retailers who do not even have to worry about overstocking, or inventory- due to on demand shipping. It is a safe bet, that those who go global now, are positioning themselves to reap the rewards of this huge marketing bonanza! More and more businesses are stepping up their online presence to where more than half of their overall sales are coming from the Web. And why not? Why pay hundreds of thousands of dollars for a brick and mortar store, where only hundreds of visitors may occupy, when they can have an online store which thousands can occupy daily? Most big stores close for the night, where the dot-com stores never have to close! Why put hundreds of thousands into payroll for employees, when one server can meet the same needs in the digital world? Why pay megabucks in health care and retirement – if the same results can be gained by retailers who simply sell and do not manufacture? Don’t get me wrong, there will always be mom and pop stores simply because there are plenty of services that require employees. But many are finding they can sell online – at a fraction of the cost, of building a retail outlet! This is a trend which will only get bigger. Which is better, banking three or four million a year in profit, or taking in nine or ten million a year, only to bank two million after overhead? Those who already have a huge online business, can only look forward to growth. They have proven themselves as a worthy online retailer to their customers. The customer is pleased to know that whoever they send to your site will get the same treatment as they did. It becomes a win-win exchange. This is how Fortune 500 companies, and other online retailers can know their expected growth is most likely certain. It pays well to have your customers best interests at heart, for clients will reward those who take the time and effort to make sure their customers are well pleased. Who would you buy from? Those who prove to you how important your business is, or those who seems indifferent and treat you as a number? Your web presence and online appeal is directly related to how your prospects view your site. If it is polished, and a help to their needs and interests first, you can be sure of repeat business. However, if it comes off as “thrown-up” and offers no help or assistance, but simply offers a shopping cart and an order now button, it is doomed. Bad news travels a little faster than good news in the business world. If you are serious about growing your online sales, and want to prosper in the coming boom, do yourself and others the favor of hiring a professional writer for your Web content. It will pay you many times over what you pay them, and once that expense is absorbed, you can face with confidence profits upon profits! While over 60 Million people will shop online this year! a couple of our custom web stores. 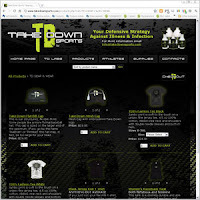 Call us today and get your web store up and running before the holidays! * PayPal charges not included. 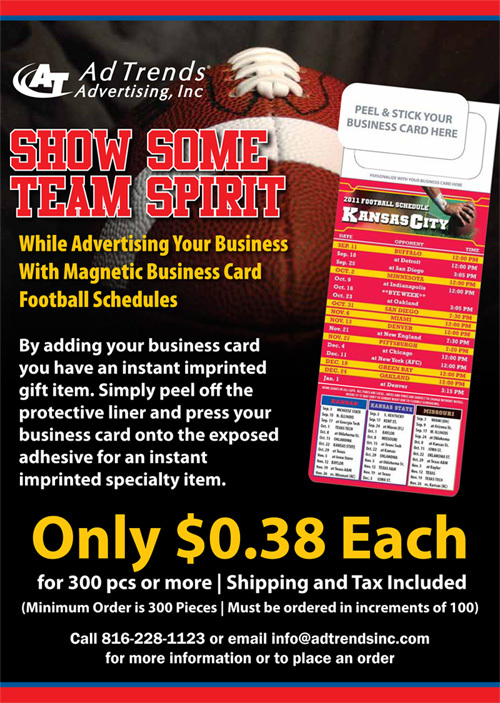 Call 816.228.1123 or email michael@adtrendsinc.com to get started!